Because Motherhood is about having Fun! This is a fun and easy dance workout designed especially for new mums wearing their baby in a sling or baby carrier. Your baby stays right there with you and is a great part of the workout and very much involved in helping the mum tone up, burn calories and release ‘happy’ hormones. The classes are great stimulation for your little one, too. Babies love shaking their maracas and kicking their little feet to pulsating Latin beats whilst gently bouncing and interacting with other babies. 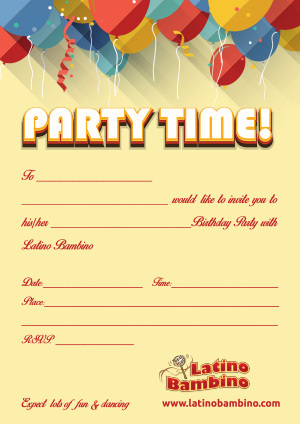 You don’t have to have any previous dance experience nor need to be a good dancer. Classes offer an opportunity for mums to meet and socialise with other parents in a child friendly environment. You can bring and use your own carrier however we have different types of carriers available to use if you don’t have one or if just want to try out. Q: How old does the baby need to be? A: The minimum recommended age for the baby is 6 weeks. By this time the baby is stronger and can be carried comfortably in a sling or baby carrier. Similarly, by this time, mums are normally ready to start with their post-natal exercises (please consult with your GP before starting this or any other post-natal exercise program).There is no upper age limit for your child (we have children of 18 months and up regularly in our classes). 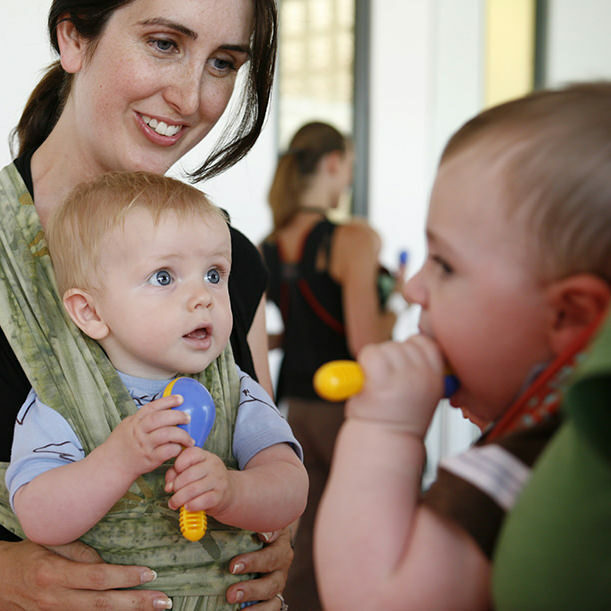 What is important is that you are comfortable carrying your baby in a carrier or sling for the duration of the class. (please note that the classes are self-paced and that at any time during the class you may take a rest or feed the baby). 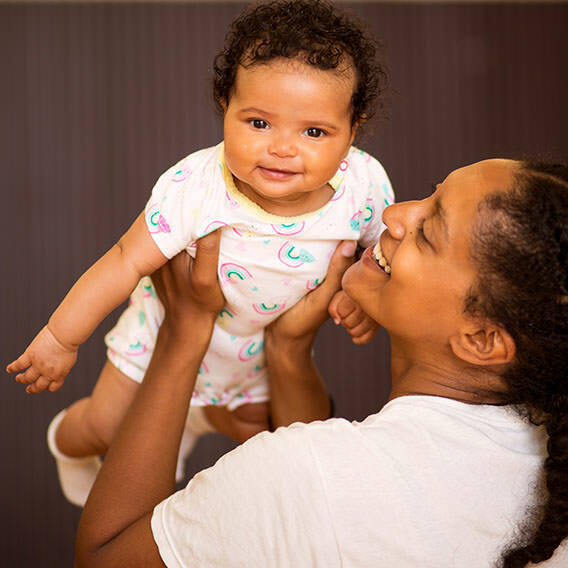 Q: Can I hold my baby or should I use a baby carrier? A: You need a good and supportive baby carrier for this class. Safety for you and your baby comes first so carrier is required for this class. If you don’t have one, you can use one of ours at the class.Very young babies often do best in a front/inwards facing position. Once they are stronger and their neck muscles have developed more they can face outwards/away from the parent. Do what is most comfortable for you and the baby. We will always check, advise and support you before the session starts. When using a carrier always follow the manufacturer’s guidelines for the age and weight of your baby. Q: What should I wear to the class? A: It is important that you wear something that you feel comfortable in, we suggest exercise wear, light walking trainers (running shoes are not best for dancing) and short sleeve top.You may sweat during the workout so you may wish to bring a change of top for when the class finishes. Also, bottle of water is recommended. Make sure that the baby uses a single layer of clothing during the dancing as they could get hot as well being so close to a parent. Q: I have never danced Salsa before. Can I still do the class? A: Sure. We designed our classes with special needs of new mums and their babies in mind. The steps are simple and there are no complicated movements.The class emphasis is on improving and restoring your core strength after the pregnancy, conditioning and targeting the problem areas and most of all have fun doing it! You will learn basic steps to various Latin rhythms and in the process you sneak in a great workout. Q: Will my baby like the class? What if my baby starts crying? 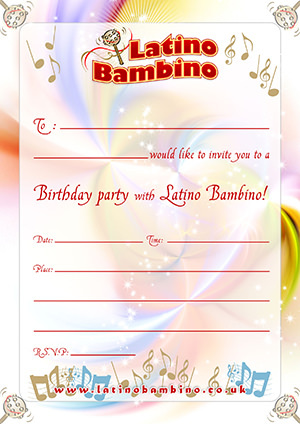 A: The Latino Bambino Salsa Babies classes are designed for mums and their babies, so their needs come first. 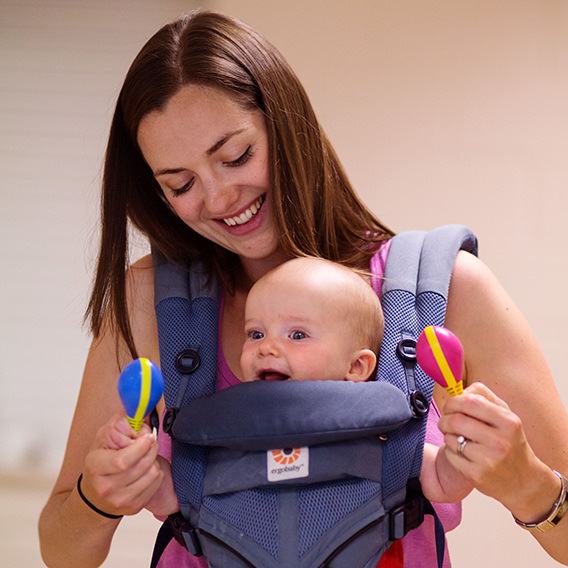 Most babies enjoy the music and movement and feel very content and safe close to their mums.The sound of the music and the movement also helps some younger babies fall asleep during the class whilst a little older one’s enjoy kicking their feet and shaking maracas. If your baby cries for any reason just grab a chair and attend to the baby. You may feed, change or sooth the baby at any time. 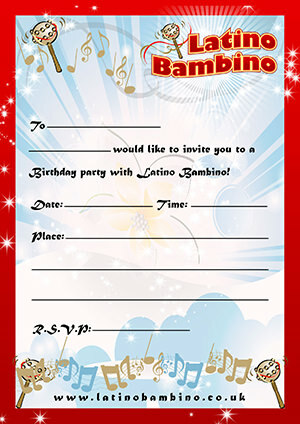 Q: Has a doctor endorsed or approved the Latino Bambino classes? A: The workout has not been endorsed by any doctor. However, most health professionals agree that gentle exercise is beneficial for most new mums. At Latino Bambino we take the wellbeing of our mums very seriously and have our clients’ best interest and health & safety at the heart of all we do.We have been assessed by health professionals from Midwivesonline.com and we have received a positive review. Q: I’m not very fit. Will I be able to do the class? A: The Latino Bambino workout does not require you to be fit to enjoy the benefits of exercising.All the steps, movements, patterns and exercises are designed so that they are simple to follow and carry out. Furthermore, during the workout you may take a break whenever you feel like it. You can work out at your own pace. You will become fitter and will restore your core and strength by attending regular classes. We often receive comments like ‘It was a workout that never seemed like work.